Born: 4 October 1747, Lorient, Brittany, France. Died: 26 May 1811, Cape Town, South Africa. Francois Renier Duminy, ancestor of the Duminy family in South Africa, was an illegitimate child of unknown parents who was adopted and raised by Antoine L. Duminy and his wife Marcelle. He joined the French Compagnie des Indes (French East India Company) at an early age, developed an interest in navigation, and rose to the rank of captain in July 1774. He touched at the Cape several times between 1767 and 1777. On 2 February of the latter year he married Johanna M. Nothling (1757-1807), who became a well known diarist, in the Dutch Reformed Church at the Cape. Henceforth his home was in or near Cape Town. He successfully applied to be transferred from the French service to that of the Dutch East India Company, but had to wait until April 1781 to receive an appointment as ship's captain. At that time he was hastily dispatched to Colombo, Ceylon, to carry the news that war had broken out between the Dutch Republic and England. By this time he had considerable experience in Indian Ocean navigation and was one of the small number of French navigators who were able to establish longitude by means of astronomical observation. Upon his return in October 1781, as captain of the frigate De Postillon, he began his hydrographic survey of the Cape south coast. In 1783 he was sent to Europe, but after his return continued his survey from 1783 to 1786 as captain of the frigate De Meermin. During this period he was also twice sent to Madagascar to buy grain and slaves. The beautiful charts resulting from his hydrographic survey were presented to Governor C.J. van de Graaff in 1787. The most important of these was a detailed hydrographic map of the southern Cape coast from Table Bay to the mouth of the Great Fish River, Plan Particulier de la Cote d'Afrique et du Banc des Aiguilles.... A reproduction was published in 1952 by C. Koeman in his Tabulae geographicae Coloniae Bonae Spei. The map is No. 229 in the Van de Graaff collection of maps. It shows the shape and relative positions of the four major bays better than any of its predecessors, though still places Mossel Bay, Plettenberg Bay and St. Francis Bay too far north. River estuaries are exaggerated in width and depth, and capes in prominence. His other charts were plans of Table Bay, Mossel Bay, St Francis Bay, and Plettenberg Bay. 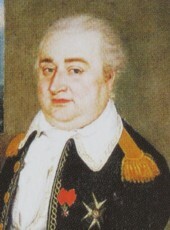 While in Europe in 1783 Duminy was appointed a Knight Grand Cross of the Order of St Philippe by Philip-Ferdinand, the Count of Limburg-Styrum, and in 1789 a Knight Grand Cross of the Order of the Lion of Limbourg, for his services as a French marine officer, thus acquiring the title Chevalier. In 1786 he was appointed by the Council of Policy at the Cape as master of supplies, but the appointment was not confirmed by the company's management in Holland, presumably because he was a Frenchman. He therefore remained in service as captain. During the same year he served on two commissions to investigate the loss of ships on the Cape coast. With J.G. van Reenen and E. Bergh he investigated, organised, and reported on wheat farming at Mossel Bay and timber harvesting in the Outeniqua forests. The resulting first load of timber, shipped in De Meermin in Plettenberg Bay, reached Cape Town in August 1788. In 1791 he participated in a survey of St Helena Bay with, among others, Johan Frederici*. Then, early in January 1793, he was sent on an expedition in De Meermin along the west coast to survey and take possession, in the name of the Dutch Republic and the Dutch East India Company, of all potentially useful bays up to and including Walfish Bay. He surveyed and annexed Elizabeth Bay, Luderitz Bay, and Walfish Bay. However, the annexations were not recognised as they did not comply with prevailing standards of international law. While at Walfish Bay a lunar eclipse provided him with an opportunity to determine its longitude, showing that the chart he had been using was in error by up to two degrees. Later the same year Dumini requested to remain on land and was appointed harbour master. He bought the farm Compagniesdam, near Blouberg Strand, in 1794, later also other farms, and started farming. When the Cape was occupied by the British in 1795 he lost his job as harbour master, but was restored in his post, stationed in Simon's Bay, during the years when the Cape was taken over by the Batavian Republic, from 1803 to 1806. Duminy played an important role in the establishement of freemasonry at the Cape. He joined the Lodge De Goede Hope in 1778, but it ceased its activities around 1781 owing to lack of support. In 1783, during his visit to Europe, he was appointed by the masonic authorities in the Netherlands as Inspector General of masonic lodges, which gave him the authority to regulate and establish lodges in southern Africa. The Lodge De Goede Hope was re-established in June 1794, with Duminy serving as Presiding Grand Master until at least 1797. He resigned his membership of the lodge in 1799, and retired as Inspector General in 1804 when his health began to fail. Judging by the catalogue of books in his possession he was a well-read man. Duminy Point, on the Cape west coast, was named after him. One of his daughters, Renetta W. Duminy, married Dr. L.G. Biccard*. Bate, O.H. The Lodge De Goede Hope. Cape Town, 1972. Duminy, A. Francois Renier Duminy, 1747-1811, French mariner and South African pioneer. Pretoria: Book House, 2005. Forbes, V. Some early maps of South Africa, 1595-1795. Journal for Geography, 1965, Vol. 2(6), pp. 9-20. Franken, J.L.M. (ed.) Duminy diaries. Cape Town: Van Riebeeck Society Publication 19, 1938. Koeman, C. Nieuwe bijdragen tot de kennis van Zuid-Afrika's historische kartografie. Tijdschrift van het Koninklijk Nederlandsch Aardrijkskundig Genootschap, 1952, Vol. 69, pp. 73-95.